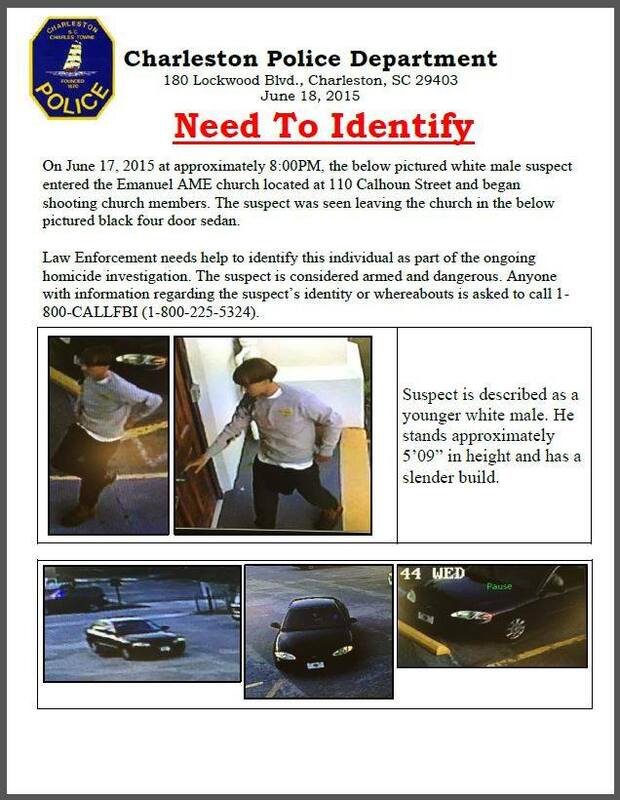 No words to describe the horrific events that happened overnight in my hometown in a historic church, Emmanuel A.M.E. The mass shooting of (at least) nine people conducting a Wednesday prayer meeting, is the act of a cold and hateful predator. This past week, I have written in my “Today In Charleston History” blog a series of postings about a delegation of black leaders of the African Methodist Episcopal church from Philadelphia who arrived in Charleston to conduct religious services. Charleston is too good of a city to endure such ugliness. Every citizen should be vigilant to assist law enforcement in their effort to hunt down and catch the evil animal who killed these people. In lieu of my regular daily posting … I am re-posting the historical events of 1818 dealing with the A.M.E. Church. Rev. Richard Allen and a delegation from Philadelphia arrived in Charleston at the invitation of Rev. Morris Brown to support the local A.M.E. (African Methodist Episcopal) Church. In 1794 Allen had founded the A.M.E. Church in Philadelphia, the first independent black denomination in the United States. In 1816 he was elected the first bishop of the A.M.E. Church. Rev. Richard Allen conducted a service on Wednesday evening at the A.M.E. Church. The city guard was called out to break up the service. One hundred and forty black congregants were arrested – including Denmark Vesey, Peter Poyas, Monday Gell and Gullah Jack – and spent the night in jail. The next morning a judge lectured them on the particulars of the 1800 law that prohibited black religious meetings after dark with a black majority. June 11, 1818 – Slavery. Religion. June 15, 1818 – Slavery. Religion.